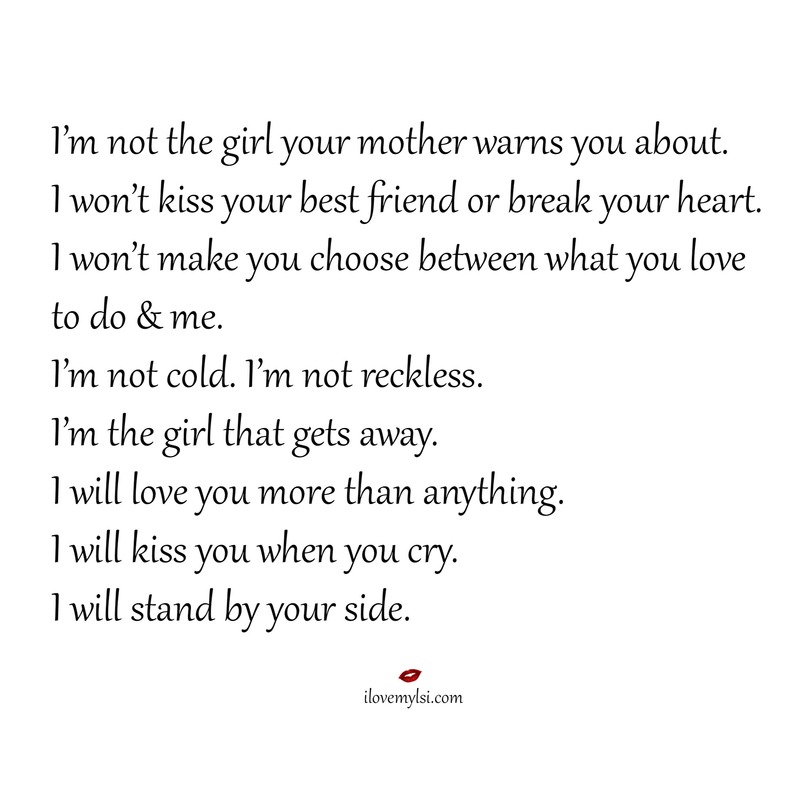 I’m not the girl your mother warns you about. Love. This site. Sometimes. People post thing when they really don’t. Know the person.I’ve. Have been in love with my man Steve foe 38 years. Married 1 went are separate. Ways and by chance ran into each other again on 10 8 12 we see each other often and are VERY much in love.. I wish You the VERY best and hope your man loves u as much as mine.